Gauhati Medical College and Hospital Recruitment 2018 Online form for Lab. 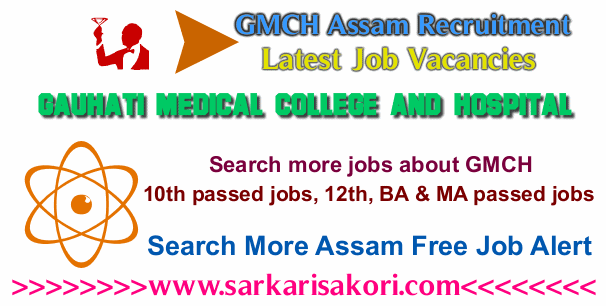 Attendant, Grade-IV, Cook, Chowkidar & Ward Boy Girl jobs under GMCH Assam. 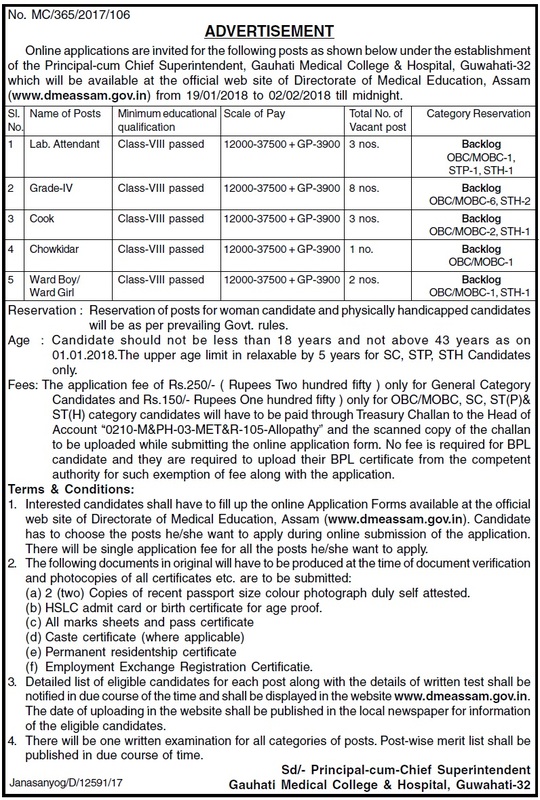 GMCH Assam Recruitment 2018 details. You will be interested more jobs at Gauhati Medical College and Hospital Recruitment 2018, GMCH Assam Recruitment 2018.